o Enzo can create a customized design or use a design provided by the customer. · Fabrication and installation will be personally executed by Enzo. Extremely large projects would require professional, experienced project management and support team, all of whom have met the qualifications determined by Enzo. · Custom mosaics for permanent installation typically are fabricated in the studio, and then delivered in sections to the installation site and installed by Enzo personally. 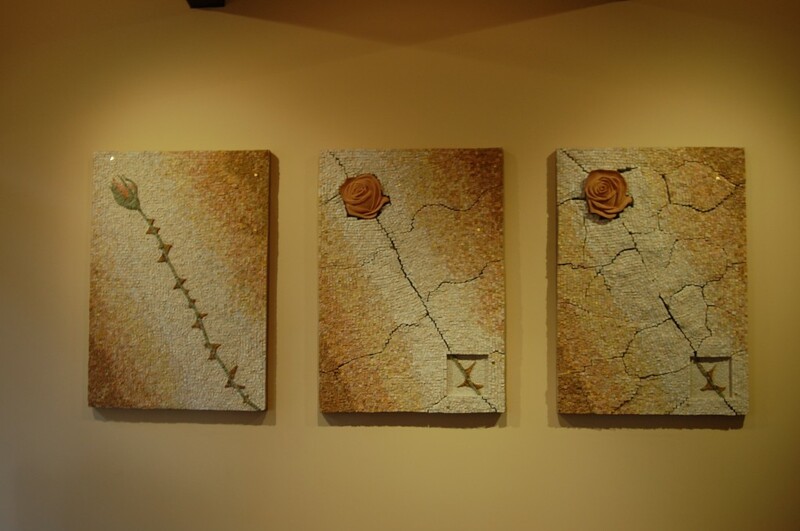 · Custom mosaics may be fabricated on panels for independent, non-permanent hanging and installation. · The materials chosen, including the quantity of specialized material, for example, gold tesserae. Enzo is one of the very few mosaic artists in the world to make mosaics using MICROMOSAIC IN SMALTI FILATI called also FILATE ENAMELS technique(size stones less than 1/25 of ine inch)the very secret mosaic technique dated 1700, coming from Vatican Mosaic Studio. Enzo learnt directly this technique at the Vatican Mosaic Studio under Great Masters .The FILATE ENAMELS allows the realization of microscopic tesserae and consequently the production of incredibly minute mosaics.With this extraordinary technique it is possibile to execute mosaics in brooches,necklaces,earrings,rings,bracelets,plaques,pendants,snuffboxes,jewellery boxes,jewel cases,paperweights,tabletops,hanged pictures in micromosaic,panels in micromosaic.